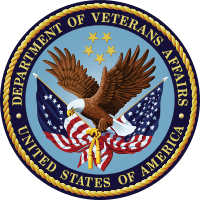 UPDATE FOR 2015: CastleOS has been approved by the US Department of Veterans Affairs as a home control system for disabled veterans! Contact us and your VA rep for more information. The team at CastleOS takes great pride in one significant fact: voice control enables everyone to enjoy true independent living in their home. For many, this desire is pure pleasure - to control heat, air conditioning, lighting, security...almost anything, with a simple spoken command. Imagine...saying "computer, open the bathroom door", or "computer, turn up the heat to 70 degrees", and it's done, from where you sit. Never search for a remote, computer, or smart phone. In your castle, your slight wish is CastleOS' command. "Empowering veterans to lead high-quality lives with respect and dignity." From our neighbors who are injured, impaired, or disabled, the advanced capabilities of CastleOS presents you with a higher quality of life and independent living at a level never before imaginable. Contact us for more information about CastleOS. Our goal is to help you enjoy the capabilities of this incredible system, as easily as possible. CastleOS is a dream come true. When mobility is an effort, or even impossible, independent living is yours thanks to the voice control feature of CastleOS.